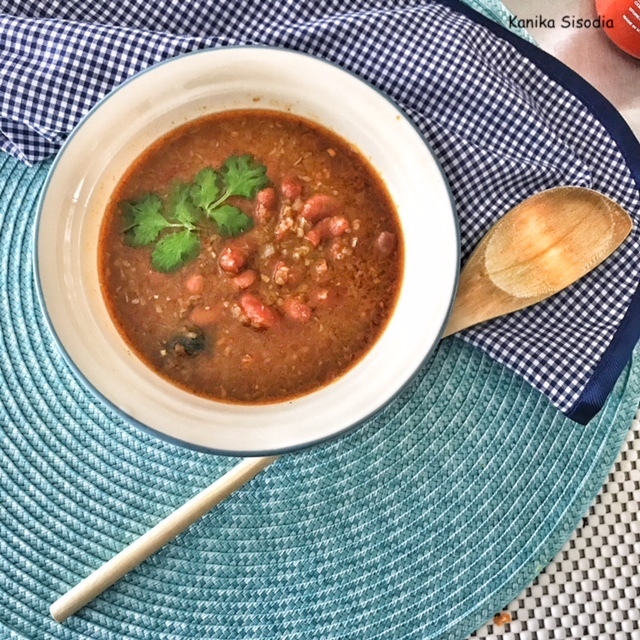 Kidney Beans or Rajma has always been a favorite among North Indians. I for one am especially fond of the Curried Kidney beans, since it brings back fond memories of studying in a residential school in the lap of the Himalayas. Back in the days, it was such a favorite among the boarders that we were served curried kidney beans thrice in a week! Having a kitchen of my own has finally allowed me the possibility to revisit and cook this curry with some personalization. However, with the Pressure-Cooker I could not do much justice to it despite many recipes and ingredient variations. 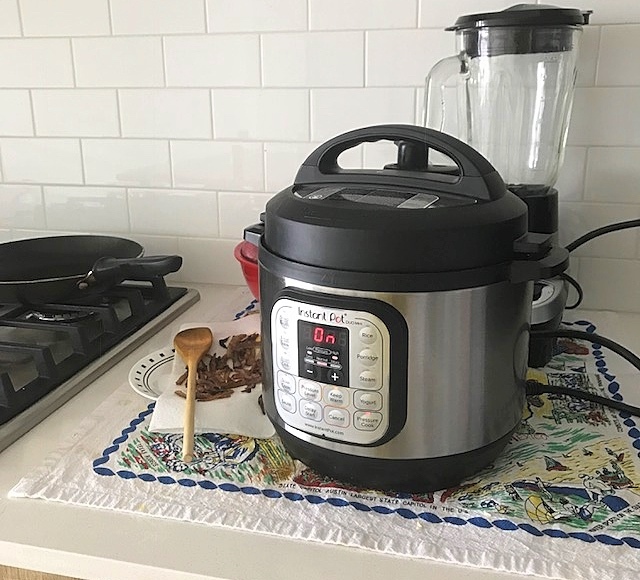 Instant Pot to the Rescue, Phew! Since, I have been surprisingly successful with the Instant Pot, I decided to try my luck once again. 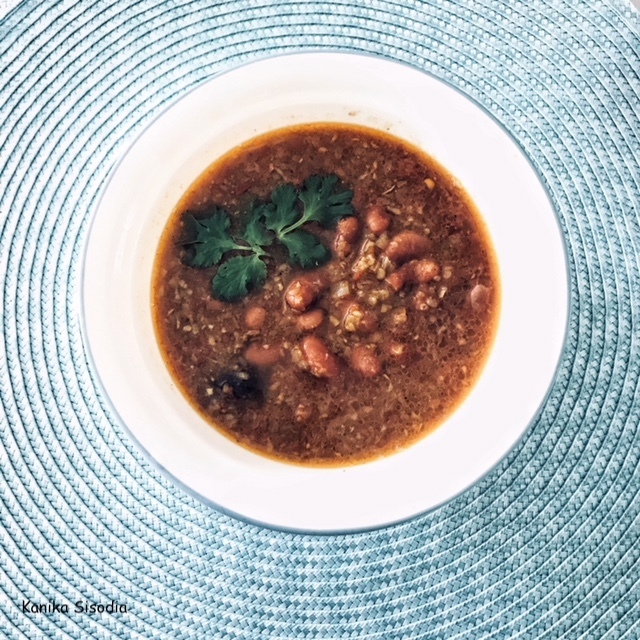 And, to my immense satisfaction and pleasure, I was thrilled with my outcome and am sharing the recipe in the hope that many Rajma curry lovers, who are hard pressed for time will find this to their advantage and to the immense satisfaction of their tummies! Soak 1 cup kidney beans overnight in 3 cups of water. Drain out all water from the soaked beans and set aside. Switch on the Instant Pot on Saute Mode, and pour in the cooking oil. Once warm, add the cardamoms, cloves and bay leaves, and stir for 20 seconds. Add the chopped onions and continue to sauté till they turn translucent. Add the ginger garlic paste and green chillies and stir well for 40 seconds. Now, add the tomato puree, dry spices and continue to stir. Cook the mixture well for about a minute, if it splatters cover with the lid. Now add the beans and water and give it a stir. Add salt to taste. Cancel the saute mode. Place the Instant Pot lid with the valve in the sealing position. Pressure Cook or Manual Cook for 18 mins, on High Pressure. Release the Pressure naturally. Once the pin drops, vent out any steam and carefully open the lid. Rajma is ready! Serve with Roti or Rice. This is the stuff of memories and comfort. 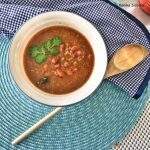 Rajma or kidney beans are a favourite curry in north India. 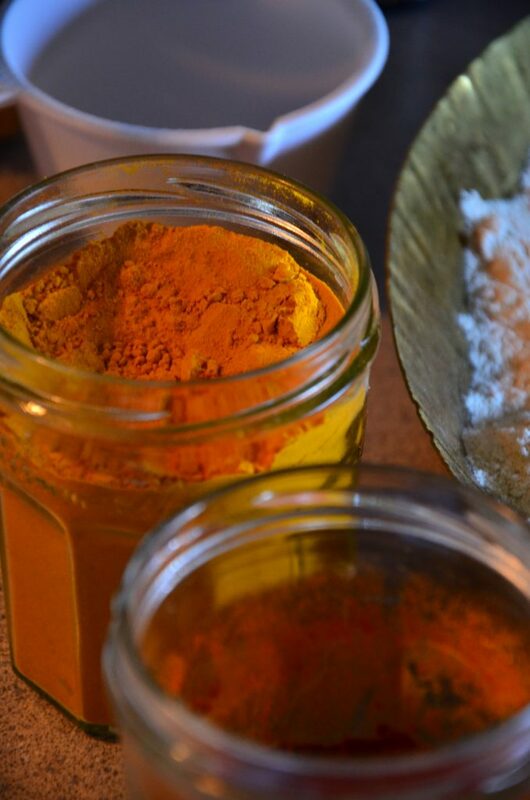 Served with rice or fresh warm breads - rotis and paranthas this curry is easy to cook and even faster in an Instant Pot.